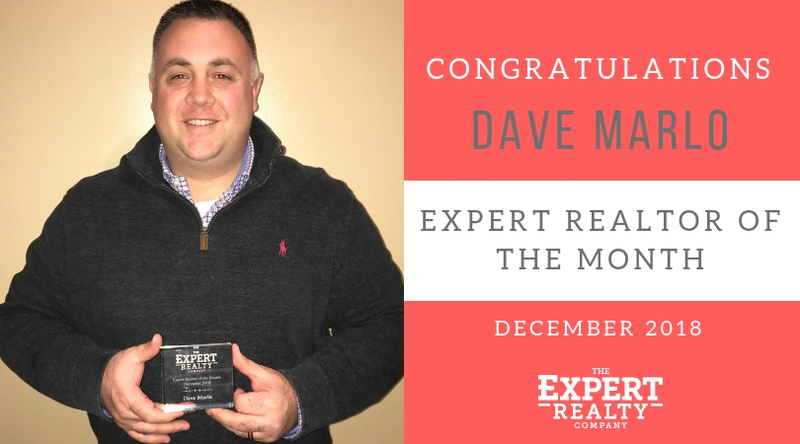 The Expert Realty Company would like to congratulate Dave Marlo for being our “Expert Realtor of the Month” for December of 2018. Dave is is a direct and straight-shooter realtor who worked exceptionally hard in December to provide his clients top notch customer service. We are extremely appreciative of his dedication, not only to his clients but also to giving back to our community! Congratulations, Dave! If you’re looking to buy or sale a home, contact Dave at 636.329.4100 x114 or email dmarlo@expertrealtyco.com today!